CoE focus on rule of law and protecting human rights in Europe. 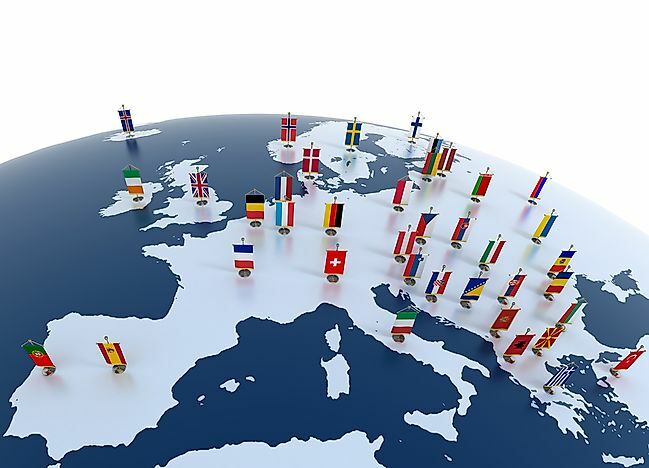 The Council of Europe is made up of many European countries. The Council of Europe (CoE) is an interstate body that is mandated to protecting the democracy, human rights, rule of law in Europe and promoting of the European culture. This organization was founded in 1949. It currently has 47 member states and coverage of approximately 820 million people. CoE runs at an approximate budget of a half a million euros annually. Secretary General who heads the council’s secretariat and is elected by the Parliamentary Assembly for a five-year term. The current Secretary General is Mr. Thorbjorn Jagland who is serving his second term. The Committee of Ministers made up of representations of Foreign Affairs Ministers from the 47 member states. The PACE ‘Parliamentary Assembly Committee’ that is comprised of member states’ national parliamentarians. The parliamentarians-elect their president for a one-year term with an option for an extra year re-election.•Congress of Council of Europe that was created in 1994 that comprises political representation from regional and local authorities of the member states. European Court of Human Rights that was created under the convention on human rights in 1950 and has a representation of an elected judge from its member states by the Parliamentary Assembly for a nine-year term. Commissioner for Human Rights who is elected by the Parliamentary Assembly for a non-renewable six-year term. At the onset of its foundation as outlined above, the Council of Europe had ten members assigned to it. The next lot of states to join after its formation was Turkey and Greece who joined after three months. After another one year from its foundation, West Germany and Iceland joined the council. The latest member to join the CoE is Montenegro. The Council of Europe no has 47 members. The membership of CoE is open to all European states according to Article 4 of the Council’s statutes. At the present, the only European states that have not joined this council are Kazakhstan, Belarus, and the Vatican City. The later state's failure due to human rights concerns and the former being a theocracy state. Some other territories that are less recognized have not yet signed to the council too. The Treaty of London established the Council of Europe on May 5, 1949. This had been after prior suggestions by Sir Winston Churchill on the formation of a kind of ‘United States of Europe’ in his speech at the Zurich University. Politicians, civil societies, and government representative took up the idea for a discussion in a congress that was held in 1948 in The Hague, Netherlands. May 5, 1949, ten member states signed the treaty in, London. These states were Denmark, Belgium, Italy, France, Luxembourg, Ireland, Netherlands, Sweden, Norway, and the UK. •Protecting of human rights through various committees such as the European Convention on Human Rights, Convention on Action against Human Trafficking and the European Committee for the Prevention of Torture. •Rule of law protection and cooperating legally through the signed treaties and conventions such as the Convention on Cybercrime. •Promoting fair sports through enforcing of the Anti- Doping Convention. •Promoting diversity and cultural cooperation among the member states. •Protection of democracy. This is achieved by the Parliamentary Assembly through monitoring of elections and parliamentary scrutiny. The seat of CoE is in Strasbourg in France. This is the location where the council’s eight buildings are situated.The Development Bank of the Council of Europe has its seat situated in Paris. Lisbon, in Portugal, hosts the North and South Centre of the Council of Europe. Graz in Austria has the Centre for Modern Languages. Most of the states have offices in their countries but that of late has been reduced due to economic reasons.